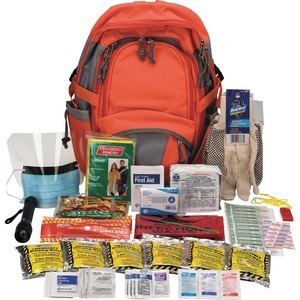 Emergency Preparedness Backpack contains critical components needed when an emergency occurs including bad weather and power outages. It is designed to meet personal needs during the first 24 hours after a disaster as defined by Homeland Security. Contents include six purified waters, one flashlight, light stick, six food bars, one pair of white poly/cotton gloves, a whistle, emergency blanket, rain poncho, hand warmers, mask, gloves, hand sanitizer and a first aid kit. They are packed in a convenient, easy-to-carry and easy-to-locate, orange backpack. 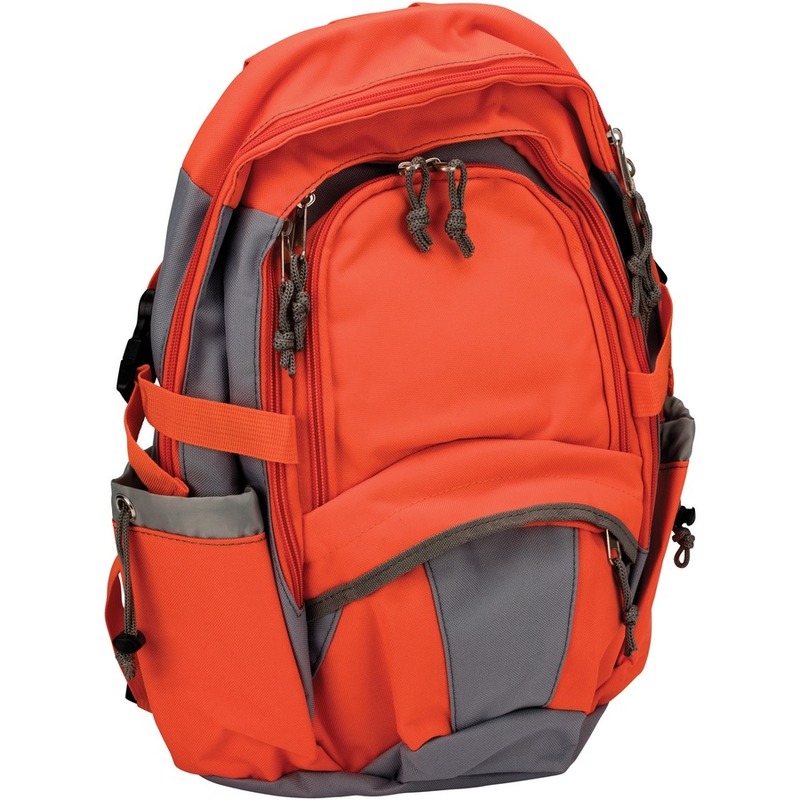 Lightweight backpack has padded shoulder straps and is perfectly sized to store additional items.